My R6’s rear tyre has just deflated in record time. We had a few 90mph wobbles but nothing that was too alarming, so I made my way to the littered grass verge on the A1 northbound and began the wait for a mate with a van. Bugger. It was 8pm and I should have been signing on at Oulton Park for a track day 12 hours later, which was starting to look increasingly unlikely. I’m not just devastated because of the missed track day, but also because I had to replace the rear Metzler Racetec after only 1000 miles. 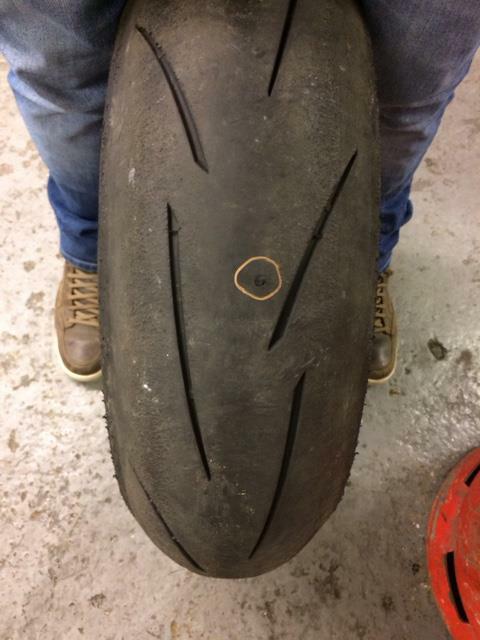 Metzeler don’t recommend getting a Racetec repaired and on a high-performance bike like the R6 you’d daft to take the risk when it comes to rubber. Thankfully Ken from Ken Urwin Motorcycles turned up before the darkness completely set in and we quickly bundled the R6 into the back of his van. Luckily I’ve got a spare Racetec in the workshop so it’s not all bad. I’m gutted to miss a day around Oulton Park, but I suppose it could be worse. The craftsmanship in the Akrapovic headers is stunning. They’re feather-light and beautifully made.